If it’s October, that must mean that MMOs are rolling out the Halloween content. Today’s entry comes from KOG Games’ Elsword, which has introduced a new dungeon, Ariel’s Nightmare, which invites four players to battle all sorts of creepy crawlies in three stages, but there’s a twist: the longer you take, the more enemies spawn, so you’ll have to move quickly to progress! Waiting at the end of the dungeon is the sultry succubus Erilot, who’s described as having “hair as bright as the sun, but her heart seems darker than shadows.” Dye job, clearly. 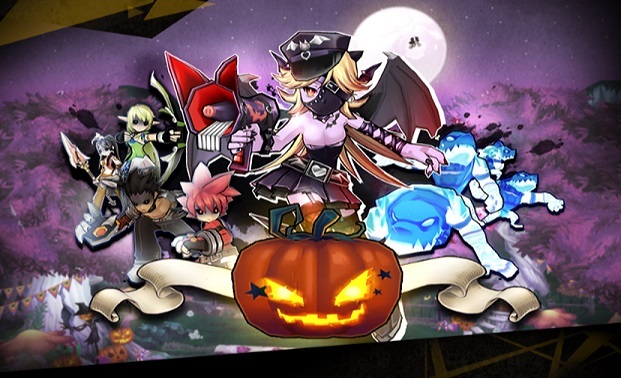 You’ll get a Halloween Monster’s Soul just for completing the dungeon, while intrepid monster slayers can obtain keys to score a bunch of Halloween-themed costumes and gear. Finally, the Halloween costumes from last year will also make an appearance, with new costumes being offered for Ara, Elesis, and Add. Compared to last year’s Halloween event, this one pales in comparison. The prizes you get from the monster souls are common items.